CHICAGO (WLS) -- A military F-18 jet made an emergency landing at Midway Airport, officials said. 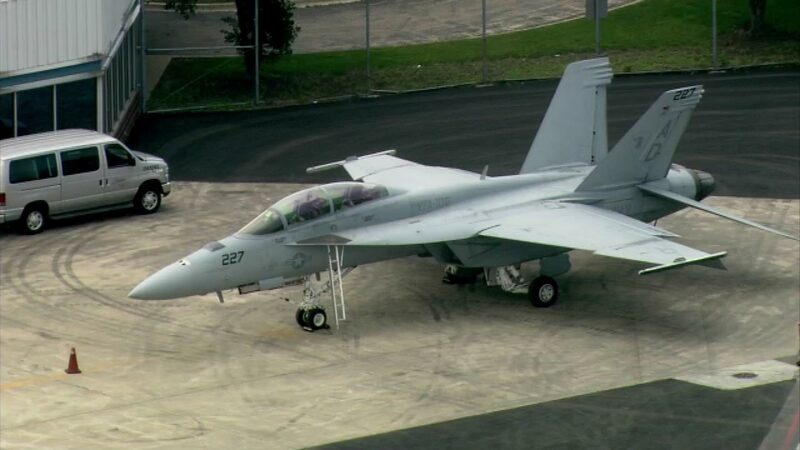 The U.S. Navy jet, which is used for air shows, was on its way home to Virginia Beach, Va., from a show in Minnesota when one of its two engines malfunctioned, officials said. The pilot then requested an emergency landing, and Midway Airport shut down its operations to accommodate the jet on one of its runways just after noon Wednesday. The plane completed its landing safely, officials said, and the pilot and passenger - a Navy weapons system officer - are OK. The Navy says they are investigating the cause of the engine failure and have crews working to fix it.